Thank you for visiting our site. We hope that you will consider us for your next vehicle purchase. We look forward to helping you search for the perfect Nissan at a price that fits your budget. Our comprehensive website offers the ability to schedule test drives and service appointments, but we always love seeing our customers in person. Come see us in Houston, conveniently located at 15300 North Freeway, Houston, TX 77090. Our extensive and competitively priced new Nissan and pre-owned inventory, including the Nissan Sentra, Versa, and Maxima, is available for browsing daily. Our Service Department is willing and ready to assist with any needs you may have in the maintenance of your new or used Nissan, as well as any other make or model, and our prices are very competitive. 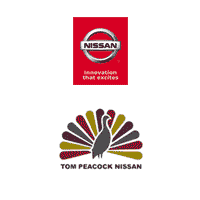 Our goal with each and every customer is to deliver the quality service that we’ve built the Tom Peacock Nissan name on, and to maintain your Nissan to showroom floor quality. Tom Peacock Nissan welcomes visits to meet our friendly staff. We want you, our valued customer, to feel comfortable with the associates helping you with your car purchasing or service experience. And we understand that money may be tight, which is why we’re proud to provide you with discounts on both new Nissans and Pre-owned vehicles. You can search our New Car Inventory or, if you are in the market for a Used Vehicle, we have a comprehensive inventory of those as well. Our experienced sales staff can help you find the right Nissan for you, whether it’s a Nissan Cube, Versa, Sentra, Altima, Altima Coupe, Maxima, Z, Quest, Rogue, Murano, Xterra, Pathfinder, Armada, Frontier, Titan, or Juke. Thank you for visiting our site and for taking an interest in Tom Peacock Nissan. 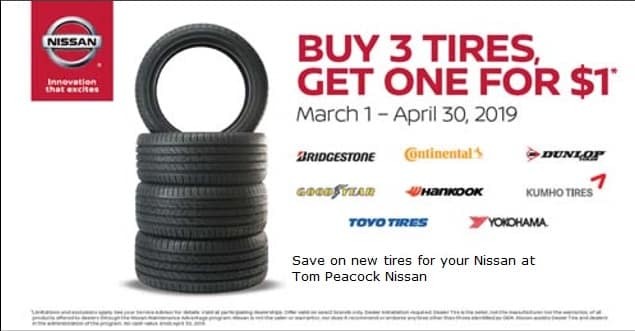 Remember, our aim at your Tom Peacock Nissan dealership is to convince you, your family, and even your friends to expect a great deal every time you come in! We do this by having some of the most competitive specials on top of our already low new Houston Nissan and pre-owned vehicle pricing. All vehicles are subject to prior sale. While every attempt has been made to ensure the accuracy of the data displayed, the Dealership is not responsible for errors or omissions. Other restrictions may apply. Void where prohibited. We reserve the right to make changes without notice. Please call us for details. Price excludes Tax, Title, License, Documentation Fees dealers added and Recon accessories. Must Finance thru NMAC to qualify for Internet Discount. Tom Peacock Nissan Service Dept. At Tom Peacock Nissan, our highly qualified technicians are here to provide exceptional service in a timely manner. Allow our staff to demonstrate our commitment to excellence. Muchas Gracias Krystal por su ayuda en nuestro 2019 Nssan Rogue. Mi esposa fue muy encantada! Siempre nos dan el mejor servicio. Mamadi Cisse was a great salesman that I will definitely recommend. He is very professional and fun to be around. Thank you Tom Peacock!